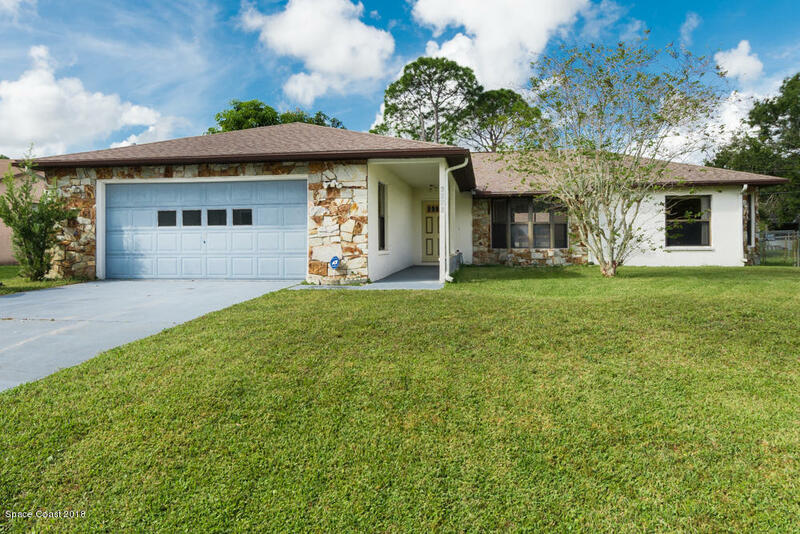 Great opportunity to own this concrete block home located in a convenient area. Near the new Heritage Parkway and just a few minutes to I95, Publix, and the Hammock Landing shopping complex. Home needs some cosmetics but represents a real value. 3 bedrooms, 2 baths, and an over sized 2 car garage with laundry sink. Home features a living room with a bay window, formal dining room, family room and breakfast area. Buyers will like the large, 30' x 12' screened patio for outside enjoyment. The master bedroom features a walk in closet and the master bath had a double sink vanity. The large back yard is fully fenced and has mature fruit trees (Grapefruit, Mango, Florida avocado). Additional features include a sprinkler system on a well, a security system, cathedral ceiling, and rain gutters.